Eight-time Olympic gold medallist Usain Bolt still harbours a dream of one day playing for Manchester United. Bolt participated in his first training session with Central Coast Mariners on his 32nd birthday on Tuesday, having joined the A-League club for an "indefinite" training period. 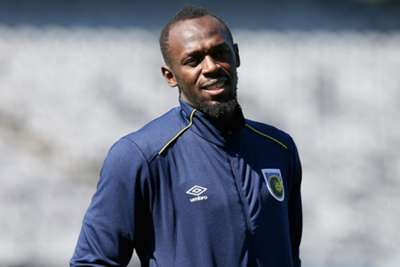 The fastest man ever over 100 and 200 metres retired from athletics in 2017 and, having spent time with Borussia Dortmund, Mamelodi Sundowns and Stromsgodset, Bolt has set his sights on becoming a professional footballer. A contract with the Mariners may emerge if he impresses in training, yet Bolt's biggest aspiration is to turn out for his beloved United. Speaking to reporters after his first training session in Australia, Bolt said: "I daydream all the time about just big things...one of my biggest is to play for Manchester United. "I think that could be my biggest dream. You can't get bigger than that. 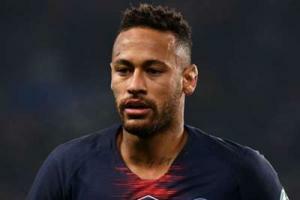 "Even if it's just for five games or one game, that would be a dream come true because, as I said, I'm a massive fan. "But this is the start and I'm really appreciative of everything the Mariners have done. They've given me the opportunity to make my mark and get my start here." Jose Mourinho may be intrigued to hear that Bolt spent time in central defence when he was growing up, given the United boss was unsuccessful in trying to strength that area during the transfer window. "I started as a keeper in primary school and the faster I got, the further up the field I got," Bolt added. "In high school I was centre-back and eventually a centre forward."